The Anglican Communion is made up of 40 Provinces worldwide, the Church of England being one of them. It includes 85 million sisters and brothers in Christ, spread over 165 countries, 80% of whom are from the Global South. The Archbishop of Canterbury serves as a “Focus of Unity” for the Communion, meeting periodically with other archbishops, bishops, clergy and laity throughout the Communion. 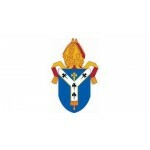 Established over 20 years ago, the Archbishop of Canterbury’s Anglican Communion Fund (ACF) is a registered charity that provides a vehicle for the Archbishop of Canterbury to minister in the provinces of the Anglican Communion through offering financial support for important ministry that may otherwise not happen and also funding Anglican Representation at key global platforms such as the UN. This post is based at Lambeth Palace, the home, office and epicentre of the Archbishop of Canterbury’s ministry to the Church of England and the global Anglican Communion. The office at Lambeth Palace is made up of several interconnected teams, including Anglican Communion, Chaplaincy, Communications, Correspondence, Ecumenical, Evangelism & Witness, Events Inter-Religious Affairs, Social and Public Affairs, and Reconciliation – each providing a pivotal, interdependent and essential support to he Archbishop to enable the effective delivery of the ministry to which he has been called by God. This role is a fixed term contract expected to last for two years. It is envisioned as a full-time role, though flexibility in contract terms could be considered for the right candidate. This post offers an excellent opportunity for a competent and professional Administrative Assistant to contribute to the global ministry of the Archbishop of Canterbury throughout the Anglican church by providing support to the Chief Executive Officer of the Anglican Communion Fund to enable the smooth running of both the annual grant cycle and the donor cultivation and management process. Duties will also include coordinating meetings and communications. The work of the ACF runs along a dual annual cycle of grant making and fundraising. Managing the grant reporting process, ensuring the timeliness of reports and following up on outstanding reports. Assisting with the coordination of fundraising events. Support the CEO with coordination of meetings of the Management Committee and Trustees, including diarising and room booking and preparation of papers as requested. Attend and minute meetings. Other duties and responsibilities as requested and commensurate with the role. Substantial experience in a fast paced administrative role, including proficiency in Microsoft Office Suite, especially MS Word, Outlook and Excel. Excellent written and oral communication and strong attention to detail and professionalism. Good time management skills and ability to prioritise and multitask. Strong organisational and record-keeping skills.Comfortable with technology, software and apps (eg. Mailchimp) and ability and willingness to learn new systems. Problem solver with a Can-Do attitude. Experience with social media marketing/communications. Experience of supporting committees, including minute taking. Understanding of and sympathy with the structures and culture of the Church of England and/or the Anglican Communion.